This month we talked with my co-founder, Willie Keng, CFA Willie has spent his career in the financial sector as a fixed income specialist. We sit down to discuss more about how to build a dividend portfolio with him. FSMone is one of the lowest cost brokerage in Singapore, where commission is as low as just SGD10.00 per trade. Check our FSMOne.com for more information. 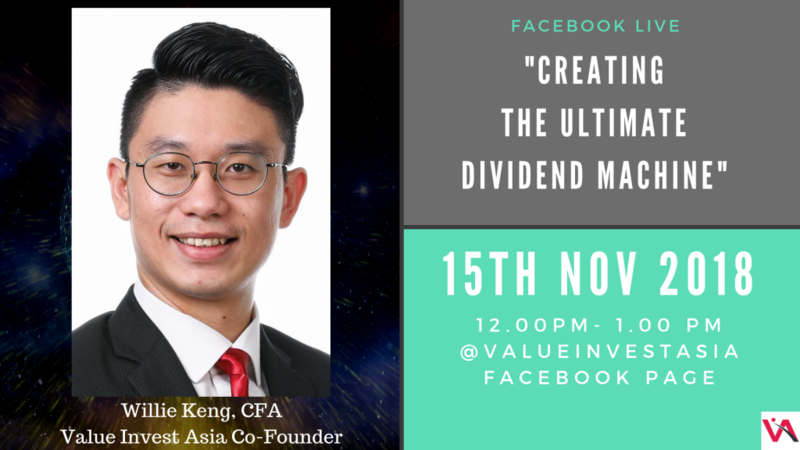 Willie will also be holding a 2-hour workshop on the 3rd Dec 2018 in Singapore to further explain some of his concept of creating a dividend portfolio. Stanley: Hi guys! This is Stanley. Willie: And this is Willie. Stanley: Hi! We’re going to do our Facebook live event again. So, thank you for joining us, we have been doing our Facebook live event for I think for like seven or eight months already, and yet we have discussed we have so many other practitioner and yet we never really chose of ourselves before. So, this is the first time we have our very special guest my co-founder; Willie Keng, a little bit about Willie. Willie is actually in the finance industry for a long time, and he has started his career as a Fixed Income Specialist, first in Phillip Capital and then you move on to the private banking sector. Maybe you share with us a little bit about your background. Stanley: Yeah! That’s right. So, actually Willie used to be, I always say, he’s the corporate high flyer, but when we first started, we had three co-founders, but two of them were still working, and I was the first one who jumped into the ocean, but as you can see; after a year, Willie has decided to jump in the ocean with me. So! Now, we have two I’m very happy that Willie is joining my team, and so definitely we’re doing something right, I think. Willie: Yeah! We are also so inspired by Stanley as well. Stanley: Yeah! I think we have more people joining us. Hello! Mike, Augustine. Stanley: Welcome you guys. If you have any question about dividend investing, about just fixed income, do share your thoughts with us, just ask the question. we will be definitely monitoring it on our phone here, and but before that, we were already asking question through our Google Form, and I think we have quite a number of good interesting question on that. Maybe, before we jump into some of the good questions, maybe talk about dividend investing. Stanley: What constitute a dividend portfolio in your mind, and what’s the typical dividend stock like for you? Willie: Hmm! So, I will be able to address that with my first point, so as corporate bonds analyst; the assisting in the industry called Carry. Willie: Meaning that if you buy a bond, some people they just went to carry meaning that they just clip the coupons, so you buy, you don’t expect many form of capital appreciation. Because at the end of the day, the bond will mature say after three years or five years depending on maturity. So, that’s what a lot of people like to do, so they buy bonds on carry, and if we apply the same concept to a dividend portfolio, what happened is that, you actually buy into a diversified basket of dividend stocks. And you buy it ready for the carry itself, the same thing as a bond. So, you buy for the dividend yield. Stanley: For the yield it right. Stanley: And you owe it to perpetual? Willie: So, it really depends on say your valuation, on how comfortable you are with the stock itself. So, unlike a bond where there is a maturity date, a dividend stock; you have to going to perpetuity, of course you can always sell it, whether you sell it at a capital gain or loss. That is another issue, and then of course, it really depends on your risk profile, your comfort level, how well or [Unclear 04:47] you are, how much time you are going to spend in building this dividend portfolio. Stanley: Okay! So – ah! Okay, more guys are joining us. Hello! Benny, hello Philip. Stanley: Yeah! Let’s dive into some of a few questions that we have already sourced, previously Steven was asking you know, how do you see the difference between say a dividend portfolio for someone who is already retired, or someone like us who is still actively working, and we still have some cash flow from our work. Should that dividend portfolio be different, how would it be different? Willie: Sure! So, for the dividend portfolio; I’m actually helping to manage for my family, I think more specifically for my mom. Stanley: And she’s a retiree? Willie: She’s supposed to retiring. So, she was just telling me that after a few years, after she fends for my sister’s tertiary education, she says she will just call it quits on her job. With that in mind, to build a retirement portfolio, it’s very different because you have to assess the risk profile. So, for people like us, we need to take risks, to absorb risks is definitely much higher, say versus our parents, where sometimes all they want is to just get the cash flow, and to have stability. Stability meaning that you don’t really want huge variations in prices of your portfolio. So, if that’s the case, then the difference is actually ranging from building how diversified the portfolio is, it can be as little as 20 stocks, up to 30 stocks, and also finding the kind of dividend yield which you are looking at. So, it can be – for retirement, people who are going to be retiring. They don’t have to actually go for like eight plus percent, sometimes when you have accumulated a decent capital means. What happens maybe you just need four percent or five percent dividend yield? But that has to be backed by consistency, sustainability and strong fundamentals of the Company. Willie: At the end of the day, it’s not just looking for – like you have the nail on the spot, it’s not just looking for high dividend yield, you have to access [Unclear 07: 27] as well. Stanley: Okay! Yeah! That’s interesting, and I guess – Karenna was asking: So, if you talk about dividend, and looking at the yield, how do you decide, and how do you screen for high dividend stocks, and high dividend yielding REITs? So, how do you see the two, do you see them as the same? Willie: High dividends yielding stocks? Stanley: Stocks and REIT’s. Yeah! Willie: So, to address that first question which Stanley asked, I think both of them come – they have a blurred line between the two, but one thing to note, maybe just to give a very surface analysis of both. So, REIT’s: High Dividend Yielding REITS, typically dividends don’t really grow that much, they don’t grow organically, because REITS; in order to expand their assets, they have to acquire. In order to do so, you have to actually seek rights, or you have to borrow from the bank. So, that could be a compromise to share unit holders, because when the rights issue comes in, you have to put in money, you can’t grow organically, because how a REIT is structured, I think everyone would be familiar by now, ninety percent of their distribution is paid off to ex-liquidators. So, you don’t really get to keep cash to expand the business. Whereas for high dividend yielding stocks; so if you’re looking at banks, utilities, property developers. A lot of them can actually grow organically. So, if you are buying say dividend yielding stock, not really, but a dividend yielding stock, let’s say 4% or 5%. You can’t grow organically this, because the earnings from the business can’t actually grow from reinvestment of their retained earnings, reinvestment from whatever revenue or profits which they have collected. So, that’s very different from a REIT, so that’s one thing which people out there, when you guys are constructing your portfolio, don’t just look into the yield, [Crosstalk 09:39]. Stanley: Okay. I guess your point is, REITs because they have to pay out most of their earnings anyway, they are left with little cash flow to reinvest. whereas a stocks, even though it might be a high yielding stocks, maybe they are payout ratio is not that high and they have money to reinvest in the business. Ah! I see. Okay! So, maybe I’ll asked for say your mum portfolio now. You don’t have to say specific you know, how much you’re investing, but the proportion say the REIT, the investment between REITs and high yielding stocks, what was the proportion there? Willie: It’s roughly about half-half; 50:50. I think I’m indifferent, as long as the evaluation makes sense, I’m not overpaying for a particular stock, and if the yield make sense for me, then of course I will buy. So, I pay attention not just to REITs but of course to the other sectors as well. Stanley: Okay! Wow! if you guys have any question for Willie; our fixed income and dividend specialist here, do just check down below, we’ll come to you every once in a while, I think let’s take a question from the bo – from the command tab – Phillip is asking you know, interest rate are increasing, I think this is a very popular question, interest rate is increasing, and it looks to be increasing anyway, and people are worried about REITs, because as interest rate go up, the cost of running REIT will be higher. So, how do you see that, do you think REITs are well-equipped for that, or are we going to see lower yields in the future? Stanley: I think they can’t hear you. Willie: So, maybe I’ll just start off again. Stanley: Yeah! On the risk and the interest rate. Willie: Yeah! So, the risk of rising interest rates on the REITs itself, it’s not so much on the borrowing cost, it’s not so much on the funding cost side, as supposed to be a rental income. So, why I’m saying this is this, so as rates go up, what you’re seeing is; borrowing costs would go up naturally. So, that’s a logical thinking, but the borrowing cost is still relatively cheap now, roughly about 2.5 2.6%. So, if you just take a simple average across all the REITs listed in Singapore, you’ll find that how much they’re borrowing at, is roughly about, is less than 3%. This is the capital value. So, they are actually paying out roughly about less than 3%, they are earning from their property, the capital value, so the capitalization rate is roughly about four to five percent. So, capitalization rate meaning that the rental income divided by the property value. So, that’s right about four five percent across say, retail or commercial REITs. The risk comes when as REITs go up, how I see it is really a function of an improving economy, but at the same time, you have some structural issues, meaning that retail for example, we are seeing a shift from offline to online, and that actually results in a potential negative rental reversion. some of this small – so what you are seeing here – the risk is really a fall in your rental income, and when that happens the REIT might not be able to produce very strong income, producing asset at the end of the day you know. So, while the borrowing cost is fixed at a low rate, but if your rental income starts to fall, because of structure issues like your retail, or say there’s an oversupply in your commercial spin, then of course your rental use that could fall, and it could fall very close to how much you are paying out, the bottoms of the borrowing cost. So, that’s how I actually see in terms of the risk. Stanley: Okay! So, you can still invest in REIT but you know, you have to monitor closely its rental – I guess reversion is it going up or is it going down, and as long as they are borrowing money, but they can get that yield higher than their borrowing rate, we are not that worried. Okay! That’s interesting. Okay! Ignacio was asking you like, what about taxes? So, for your dividend portfolio, do you invest mainly locally, or what about you know, dividend stocks outside of Singapore? Some they get taxed, especially Chinese company, they have a 10% withholding tax on the company level, and also of course US and Europe, they have like a 30 percent tax rate on dividend. So, how do you look at that? Stanley: Does Australia have dividend tax also? Willie: Yes! So, Australia has a 30% withholding tax. Stanley: Okay! Wow! Okay! that’s interesting, but maybe I’ll be a devil’s advocate on this part, you are saying that you know, let’s talk about stocks now, for high dividend stocks, you wanted to have stable cash flow to sustain that dividend, but for a lot of US company; they do have that sustainable cash flow, just that they don’t pay dividend. So, let’s say a company like Berkshire Hathaway, I do see it as an income stocks, do you see it as something that you buy for dividend portfolio? Willie: Hmm! So, my thinking is very slightly different from how you have thought about in terms of income. So, how I think about income is a lot on whether there’s actually actual cash flow coming to my bank account. Whereas for your definition of income is, the earnings or the cash flow within the business accrues over time, but you don’t get to see it reflected in the share price of course. So, for me that’s where the difference comes in. Stanley: Right, and what do you think my risk would be? Willie: So, you raised a very good point Stanley, it sort of sparked the ideas that, for companies like Berkshire Hathaway; where rather than distributing dividends to shareholders, they believe that they are confident in reallocating that capital into the business, redeploying it knowing that, they can earn a much higher return on whatever investments they put up. So, that’s one way to think about it, the risk comes when, if the management did not promise what they actually said. So, for companies like Berkshire, I mean they have a consistent track record, so you know that if they redeploy their earnings rather than distributing dividends, they can grow the business. So, you can see from the track record of an increasing book value in Berkshire Hathaway, but not all companies are like Berkshire Hathaway or Warren Buffett. So, even though some companies they don’t pay out dividends, not necessarily they can actually build or accrue the kind of book value or the business expansion, which Berkshire has, so sometimes in this case, it’s better off for some of these companies to distribute the dividends to their shareholders. Number 1: It’s a sign of confidence, and number two: at least you have a bird in your hand rather than having that back in the bush. Stanley: So, basically you’re saying that, unless the management is Warren Buffett, and you know that he’s going to reinvest it better than you are, so you rather you pay me back, I trust myself more than … [Laughs] Yeah! on that point right, especially when we are looking for company that is paying dividend to us, how can we know the warning signs; like oh look at what, this company has a very high yield now, how can we access the risk and how can we avoid things like you know, your Asian pay-tv trust, this kind of thing where they have more than 10 percent dividend yield, it looks very attractive and yet clearly, it’s not sustainable. Where is the point that you look at to spot all this, I guess yellow flag or red flag? Willie: I think very simple. Number 1: you can look at the historical price movement number one see, where they actually IPO the company and then make a guess at that point in time, when they did IPO, is it at a very high valuation, because if it is, it’s a good chance that they’re selling to the retail market, or to investors like us at a very high price, and for us to actually buy a high price, there’s a good chance where you see capital depreciation or capital losses on the stock. Number two; how we actually identify is of course based it more on economic; Stanley, you yourself have actually talked about in some of your previous workshops as well. So, to identify the strengths in some of these companies’ modes, one company which I have, which actually saw capital losses over the past two years was M1. So, I’m pretty sure for dividend yield players acting. Stanley: I’m sorry for your loss. Willie: Yeah! So, that was actually one of the stock which actually came down quite aggressively, because of high competition and you have asked me, how to identify some of this stocks, could actually be potentially warning signs, and one of them is a deterioration in the mode. So, like the three Telco’s, sink out too has a huge – is still at a common position, but M1; you are just a pure play post pay. Willie: And Singapore is also trying to open up the Telco market as well. So, that’s actually one of the warning signs which we see, a deterioration in the mode itself. Stanley: Right! But have you sold, for your mother? Stanley: Plus you told me that even, because you bought it at a good valuation, all the dividends can actually make up for your losses right? Stanley: So, you want explain that? Willie: So, I bought M1 in 2015, when the price was still about $2.70, and then I think it was paying healthy yield about 7 7 plus percent, right now I’m seeing losses – I realized losses about 25, 27 percent but the interesting thing is, when I was looking at the Excel spreadsheet my total return is still positive, and it was even a positive 1.7%, but what I realized is that, with a dividend portfolio; the cash flow which you get from the dividend actually helps to mitigate the kind of price loss you have. So, it helps to reduce the purchasing cost of the stock. Stanley: Right! Okay! So, that’s one way to look at it, having a good dividends counter, that you know, it’s the dividend is still sustainable, and not focus too much on the share price, because you know, the dividend is continuously coming. And how do you build up a portfolio? You talked about – just now before you start, you talked about how you use the cash flow on the dividend itself to reinvest maybe in other companies, maybe you share that strategy again with our audience? Stanley: Bonuses which one defaults. Willie: Yeah! or if let’s say, if you have two stocks, and both stocks are down 50%, you have at least a decent dividend you a cash value to offset some of this losses. Stanley: Okay! So, you’re basically saying that if you buy dividend stocks don’t expect like super high multi baggers from it, or I rather think of it on the safety point of view first, right which one will protect your capital, give you a decent return, but say I think [Unclear] also asked a good question; which is, what should be our expectation you know, when we buy a dividend stocks or be a dividend investor, what’s the expectation return that we should be thinking about, and you know, what do you think about that? Willie: Sure! So, for dividend portfolio, expected return is, I think the [Unclear] raised a very good point, expected return is something which is very individual to all of us. While you might have an expected return of say a hundred percent on the stock for a dividend portfolio or dividend stock, when I’m looking for expected return, it typically does not go above 100 percent, what I’m looking for is, say 7%, 6-7% on my dividend alone, on my capital gains, maybe I can go about 30 to 40 percent. Stanley: How long is that period? Willie: So, that could take about saved four years, three to five years, roughly about four years. So, the portfolio which I started was roughly in 2015, on average I would say the return so far, the total return so far has been decent, is roughly about 30-40 percent. So, I mean you have the extreme cases where I had stocks which goes down to below the noses of 20 to 30 percent, which is my M1, and then you have banks which I bought, actually went close to double or 100 percent, but your expected return for your stocks. Yeah! Typically, shouldn’t be that aggressive, because as you get too aggressive in your upside, you tend to actually fall into traps. Stanley: Going for the too high-risk stuff. Stanley: So, I guess on an annual basis, you’re – I just did a mental calculation, you’re looking at roughly you know, slightly less than 10% a year that they can return from a decent dividend stocks. Okay! That’s too quite aggressive for me, I think. Okay! [Unclear 27:59] is asking when you manage your portfolio, do you reinvest all your dividends or…? Willie: Yeah! So, currently I’m still holding some cash on the portfolio, it’s all coming up together with the existing cash. 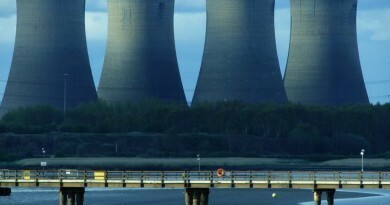 So, I wouldn’t necessarily say that I’m reinvesting all the dividend cash flow, what is going to happen, or how I’m going to plan it is, as I draw down my – as I continue to draw down the existing cash in my portfolio, what’s left for my dividends how I’d reinvest it is probably more dividend yielding stocks. So, I’ll let the dividend yield compound itself. For me, because the portfolio’s risk profile is not of a high risk, like one of the question that was asked you know, the difference between retirement portfolio and a portfolio which is held by an actively employed person. So, this portfolio which I’m managing is actually more towards the retirement side, and I don’t really need very high risk adjusted returns, but rather it’s probably more-safe sustainable dividend using stocks. Stanley: Right! Okay, but when you say you redeploy it, do you buy back the same stocks, or you would always look for another new company to buy? Willie: So, I try to make sure that each position is sized correctly, meaning there is not more than 5%, if there are some stocks existing stocks which I’m holding, it’s less than 5% of my portfolio, then I will actually pop it up, reinvest into existing stocks. Otherwise, I’ll actually look for other new stocks, or other securities to buy into. Stanley: Okay! Interesting. Wow! But I think today, you told me that you have actually two case study to share with us. Let’s dive right into it, because I think a few of – three of our viewers is also asking for you know, what are you buying? Yeah! Of course, these are not a stock recommendations but you know, just as a case study, what’s the two stuff you want to talk about that you recently invested in? Willie: Alright! I think I’m seeing also Brendan who was asking about any hot tips. Hello! Brendan. So, there’s no hot tips, but what I’ll share with you are some of the case study. One of them is actually Bank of China, this is a stock which I’m actually, which I’ve currently holding. Stanley: So, listed in Hong Kong? Willie: Listed in Hong Kong, it actually reflects a dividend yield of roughly 6%. So, how I see it is, I look at it from; number one, a business angle. So, I think that Bank of China together with the other big four banks are an incumbent position, so they have a very strong deposit franchise, because of that, they actually have very low funding costs. So, the thing about banks is this, it’s not really about how fast they grow their lending book, or how – not just how well they could manage their risks, but it is also how they manage their borrowing costs. what I think is that the lowest funding cost for banks ultimately will win, because with a low borrowing cost, I can actually be more flexible in who I can lend out to. I – versus say a bank which has a very high borrowing cost, if let’s say if I have a low borrowing costs, I don’t have to lend out to very high risk borrowers in order to earn my net margins, I can always lend out to strong companies, where the borrowing costs, where their borrowing rate is much lower, and I can still make a profit. So, that’s how I actually look at it, from a bank standpoint. So, it’s very easy, you just have to look at it, it’s all about practice, you look at the financial statements, you look at the assets, and then you come to a point where you think about the valuation. Right! The valuation is one of the critical criteria which I tend to pay attention to, it’s as important as finding out what the mode of the business is. So, Bank of China when I bought it is roughly about 0.6 percent – no 0.6 times price to book value. So, that is – it’s quite a wide discount to book value. Stanley: How much is, say DBS? Stanley: One times book. Okay! Willie: So, it really depends on your risk profile, what sort of yield you are looking for. So, for me I typically tend to target around 6%, I think that’s a decent amount, considering interest rates are increasing, you have your 10 year yield, your US Treasuries 10 year going up above 3%. So, asking for a 6% dividend yield on my stock portfolio, it’s – I think it’s a reasonable, it’s a reasonable approximation for me. And Bank of China comes in to play as one of the potential candidate, and that’s how it fit into my portfolio. Stanley: I see. Okay! But why do you choose it over say, the other four banks? Willie: I think Bank of China is more aggressive in their international exposure. So, that sort of helps to mitigate against the domestic business. So, you have Bank of China, I mean there are the other two banks like China Construction Bank and ICBC. They are also starting to go into the international market; the Bank of China has been the first mover, they have actually moved out, and about 10% of their income, operating income it’s actually already in overseas. So, that sort of helps to their mitigate business. Stanley: Mike actually asked you know, is Bank of China Hong Kong, because when you look at the listed stock Bank of China, there’s actually two, one is Bank of China Hong Kong, and one is Bank of China. Can you talk about the relationship? Willie: Alright! Yes. So, Bank of China Hong Kong. Okay! So, there’s two listings; I’ll adjust the listing first. Bank of China is dualistic; so you have the Asia market, in terms of the operations. So, you have BOC Hong Kong; BOC Hong Kong, primarily takes care of the international business. So, the loan book or the assets versus the Bank of China domestic entity is actually much stronger, if you compare the loans and the assets, but that’s not to say that overall Bank of China’s assets are weak. it just so means that BOC Hong Kong is actually well – much better capitalized, has a higher asset quality, I think also because of the geography, the demographics, profile of the loans itself, the businesses which Bank of China deeply lends out to in the international market tends to have a much higher quality. Willie: Let’s hope so. Right! Stanley: So, what’s the stock number two that you are going to be talking about? Stanley: So this one is listed in Singapore. Right? Willie: Yeah! 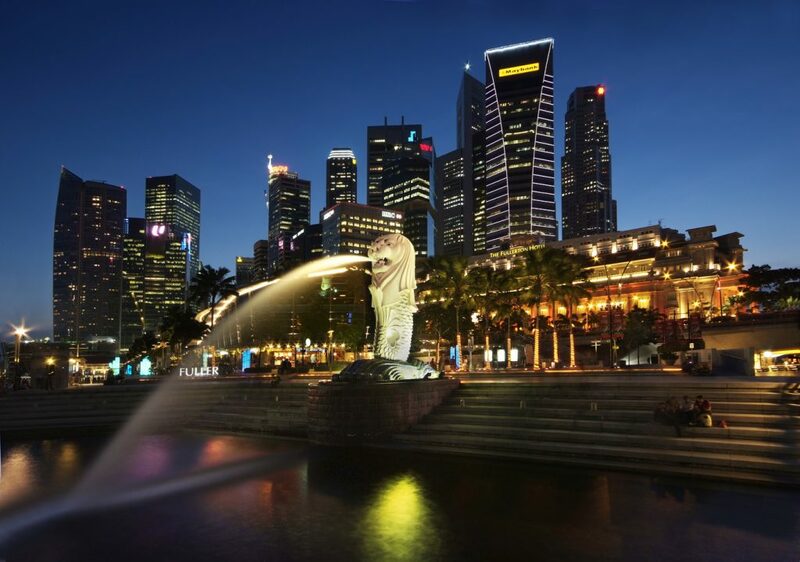 It is listed in Singapore, it has a dividend yield of about five point four percent, the valuation right now on the price to book has actually dropped from I think 0.8 to about 0.5 times. Right? So, it has a market capitalization of 2.2 billion, shareholders equity; which is an approximation of its book value is roughly about 4.2, 4.3 billion. So, it’s about 0.5 times price to book, and how I see it is, I look at it from a microeconomic standpoint. There is right now a lot of fear in the Chinese property market, where property developers there’s a risk where property developers will not be able to refinance a lot of the offshore dollar bonds. So, offshore dollar borrowings means that this developers situated in China tries to – has bonds which have been raised in the dollar market meaning that the US dollar denominated bonds, and the risk comes when this bonds gets more expensive. results in some of these developers unable to refinance themselves, how I see Yanlord is, because they have been in Singapore, they have been in business since the 1990s, they have actually worked with the Singapore government before on some projects, like same cop for example, they even have some of the Sino Singapore jayvees enchanting as well. So, they have some ties with the government, on top of that they have a very specific niche in the property market. Willie: Unlike a lot of Chinese developers, where they develop a lot of residential mid-tier or high tier residential properties; Yanlord, they go for the highest, in what you call in Singlish is “Atas” So, very high premium kind of property project, and that results them carving out a niche for themselves. So, they have very strong margins for these projects. So, property I typically look at gross margins, so their gross margins is roughly about 40, 45% versus Chinese – the other Chinese developers where typically ranged about 25 to 30%. So, when I think about their business even though the ability might not be the incumbent property companies in China, but they have a niche for themselves, and for me how I think of that is that for them with their niche, and with their ability to be able to develop high margin business, I think they will be able to refinance their borrowings, or their debt based on the cash flow, which they receive from a lot of their property projects. Stanley: Okay! But how is their debt level, like you’re not worried, you’re not too much worried about it? Willie: So, for property developers is this, I’ll just give you a short tip, or a short advice when you look at property developers. Don’t just look at one year alone, or two years, look at them from five years up to a ten years historical standpoint, and the reason why I’m saying this is because, developers they move in cycles. So, on some years they will have very high leverage on some years, they will have a very low, but you have to find out how they actively use this borrowing, for their projects. There are some developers out there, I think our audience also know that in Singapore, some of the Singapore developers, they are always perpetually in debt. Stanley: You want to name names? Stanley: If you check our website, you will know what we are talking about. Willie: Yanlord has actually been a very astute user of borrowings, so they know when to actually build up their leverage, maybe know when to deleverage themselves. At one point, after they clear the major projects, I think it was in 2014 or 2015, I think their leverage dropped to, on a net debt to equity basis. I think it dropped to less than 10% or less than 20%, but right now I think it’s more than 100 percent, which I still feel comfortable with, because their track record reflects that they are a niche player in a very high premium, high-tier residential development market. Stanley: Okay, because when you talk about property development, of course especially in China, there’s such a competitive space, how do you compare them to say those listed in Hong Kong’s, or even some of the larger ones say, your Country Garden or your China Vanke, I think they are trading quite similar in valuation, why do you end up with Yanlord. Willie: Yeah! So, I think Yanlord is easier to track, in a sense that it’s easy to track their projects because you know, they’re not very big. Country Garden, Ever Grande, China Vanke. Yes! They’re huge. Willie: They’re many projects, it’s so hard to track each one of them, and if we pay attention closer to their margins, it’s actually not as strong as Yanlord itself. Yeah! but of course, the reason why, and comparing your valuation, I think Yanlord trades a slightly higher discount to the bigger developers, I think because of the natural large sizes, a lot of the money which is being deployed by say; institutional managers, it had to go to the big players. Stanley: And also ETF right? Willie: Exactly! So, this is where sometimes Yanlord, companies like Yanlord they tend to be a, what I call a lost child, they don’t really get – they are not really favored by the market, and that’s where people like all of us, keep going. Stanley: Okay! But what do you see will be the catalyst here? Or you’re just there, just for the dividend 5% you know, is that good enough for you, but you know for – listening to how you – your expectation, you’re not just looking at the dividend right? So, what’s the catalyst you’re waiting for here? Willie: So, when I mentioned about Yanlord, is slightly a more of high risk play. So, depending on how you shuffle your portfolio, you can have a bit of some of these high risk stocks. How I see the valuation is this, I think that dividend yield, if the price still stays at this level, I can actually clip a say a 5% dividend yield annually, which is fine. I’m also looking at the capital appreciation. So, since trading about 0.5 times, and historically it has been trading about 0.7, 0.8 times. I will probably get a decent capital up sites 20-30 percent and there’s something which I’m actually comfortable with, because this also allows me to offset my foreign exchange risk, because don’t forget if we are Sing Dollar, if we are Sing Dollar investors, and we invest in Hong Kong stocks, there might be a chance where your Hong Kong dollar, or the US dollar might actually depreciate against the Sing Dollar. So, capital appreciation, sometimes help to offset this part of the risk. Stanley: Okay. Wow! Cool, that’s a lot for you guys to think about, but just to add to the conclusion, maybe you can see if you guys have been following us for a long time, you realize that the investment style of me and Willie is slightly different. Willie: I think we can have another Facebook Faceoff. Stanley: So, that’s just to mess with your mind a little bit. That’s it all from us, thank you so much. We leave but before we go you know, if they want to know more about dividend investing, I believe you have a workshop coming up, why don’t you talk a little bit? Willie: Sure! So, we have a workshop coming up in December, 3rd of December. So, it will be called ‘dividends don’t lie’. So, for anyone who wants to actually find out more about how to build a dividend portfolio? How I actually go about looking at dividend stocks, not just REITs alone, feel free to drop by if you guys are not overseas for a holiday. I’ll be there to just share with everyone, how you guys can actually augment or support your accumulation of wealth via dividends. Stanley: Right! That’s interesting. I will be the first to sign up, but that’s it from us, do check out our Facebook page, and also if you’re on our mailing list, you’ll get invitation to that workshop coming up, on the 3rd of December, and before we go, just another shout-out to our sponsor FSMOne.com to – I have used a lot of brokerage and I have to say, they are one of the ones that really helps integrate all my portfolio together, and I only have good things to say about them. So, if you’re looking for a more reliable broker, so you’re not that comfortable with your brokerage right now you know, do checkout FSMOne.com that’s it from us till next time see you guys. ← Two REITs You Must Watch Right Now! Is DBS Group Holdings Worth Investing In Now?